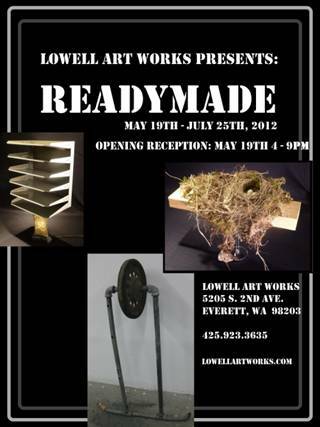 Welcome to Lowell Art Works! 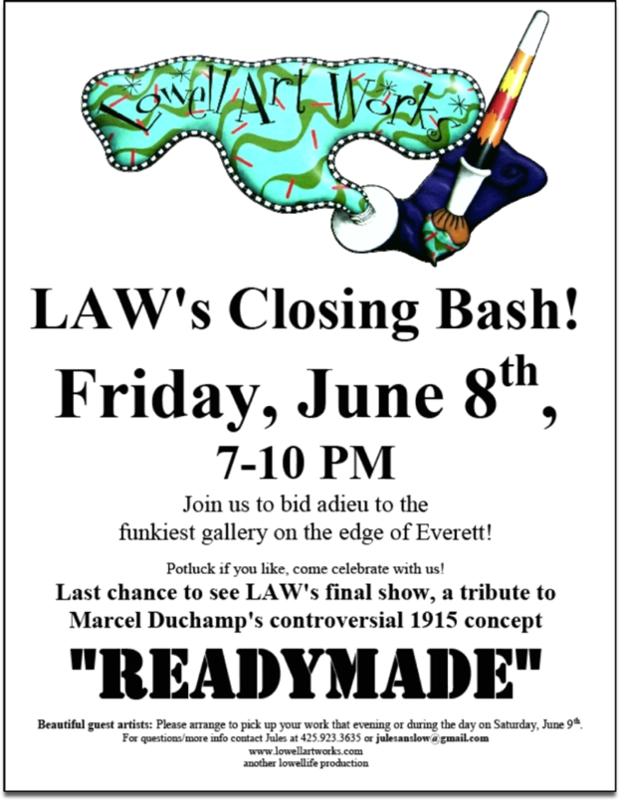 Lowell Art Works is back at it, and have we got just the thing to start the gears turning! The concept of the “readymade”, the elevation of ordinary objects to the status of art, was first introduced by Marcel Duchamp, and it seems that after almost a hundred years, everyone still has an opinion or three on the subject. 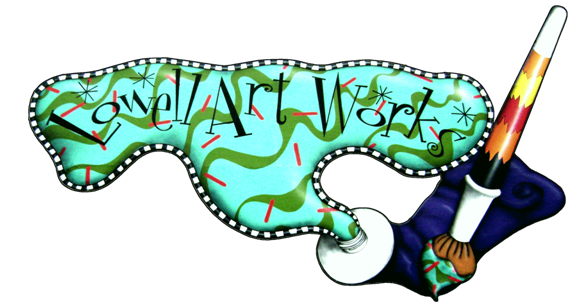 "Question the Obvious--Abstract Views of Real Life "
A retrospective selection by a surprise local guest artist! Stay tuned for upcoming life drawing opportunities at LAW for summer 2012! January 2011: "The Domestic Animals Show"
LAW's beloved annual salute to sci-fi! 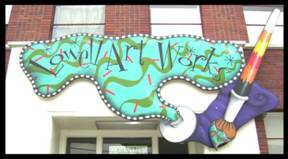 Lowell Art Works Five-Year Anniversary Celebration! January 2010: "10 x 10 for 2010"
June: "LAW Artists and Friends"
July: "Art of the Still Life"
October: "Dead of the Day"
All artwork on this site is property of the artist who created it.